Over 60 minutes of music for babies. 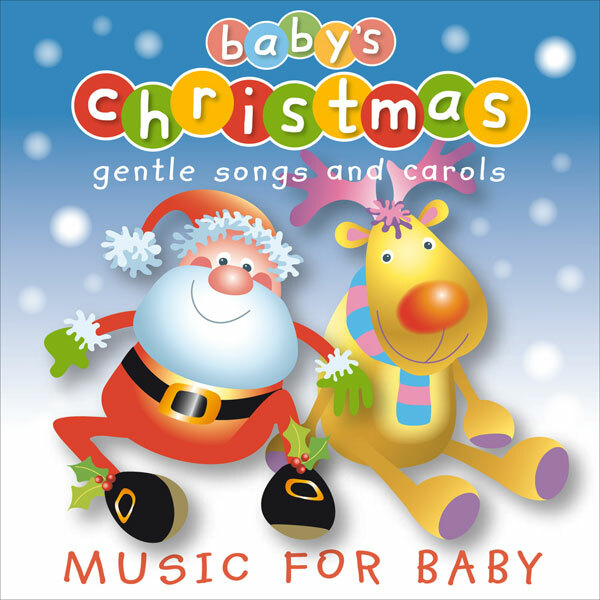 A selection of gentle songs and carols for baby's Christmas. 34 tracks including Jingle Bells, First Christmas Day, Snowflake and Starry Night. Available on iTunes, Apple Music, Amazon Music, Spotify, Google Play and Deezer, using the links below. Click on the YouTube link for a playlist of singalong videos, based on five tracks from this album. An hour of Christmas songs and music, specially recorded for babies. Tracks include Little Christmas Tree, Frosty The Snowman, Little Donkey and Starry Night. Available on iTunes, Apple Music, Amazon Music, Spotify, Google Play and Deezer, using the links below. This album is not available as a physical CD. Click on the Youtube link to see a singalong video of a track from this album.